Located in northwestern Cambodia, Siem Reap is a popular tourist destination due to the well-known Angkor temple complex. 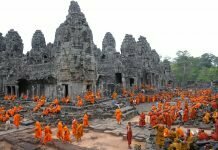 Besides Angkor, Siem Reap also offers many amazing things to do for visitors to explore. Let’s find out with us! If you want to admire the panoramic view of Siem Reap at sunrise or sunset, taking an air balloon tour is the best choice. You will have an opportunity to see nice view above the Angkor and feel the peace of the city in the early morning and enjoy fresh air. Don’t forget to take some photos. Travel to Siem Reap, you definitely cannot miss to visit Angkor Wat – a symbol of this country. This is the best preserved temple in the area and plays an important role in religion. Angkor Wat is one of the most important relics of Siem Reap and a symbol of the art and architecture of the Khmer. Angkor Wat means “temple town” or “the city of the temples”; come here, you will be able to admire the magnificent temples, sculptures carved sophisticated and lively. Tuk tuk is a very popular public transportation in Siem Reap. You can take a tuk tuk to wander around the streets or move to sightseeing spots. Especially, tuk tuk’s drivers can become your “tour guide”, they always ready to provide you information about history, culture and customs in this beautiful land. 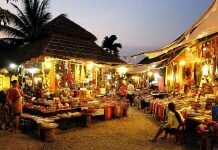 Angkor Night Market is an ideal place for those who want to learn about the culture and cuisine of Cambodia. There are a lot of items sold in here, from food, drinks to souvenirs, jewelry, etc. The market is opened from 4pm to midnight. Visit Siem Reap, you can try making pottery at Khmer Ceramic Arts Center. Most of products in here are hand-made items so you can take a short course in one session to learn how Cambodian making pottery. You also can buy many ceramic products as gifts for friends or family. Pub Street is an attractive destination in Siem Reap especially at night with a lot of restaurants, bars and eateries. Most of them are open all day but the most bustling from 5pm to 12pm, even overnight. Traveling to Siem Reap, you can also experience the exciting activity of foot massage by fish, costing about 5 – 10 USD/time. 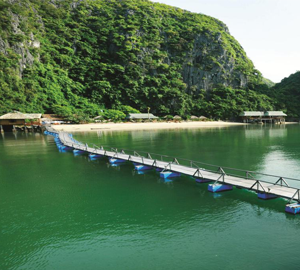 In addition to the attractions in the inner city, visitors can also travel to the outskirts to visit the two floating villages, Kompong Phluk and Kompong Khleang. 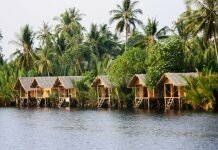 You can visit these villages by small boats and talk to locals to know more about the local life in here. In the evening in Siem Reap, you can relax by witching circus peformances at the Circus Circus in Phare – a very famous circus in this city. The performances at Phare are a combination of traditional and modern culture, attracts every visitors. According to the Cambodians, insect dishes are considered as highly nutritious food. Try out Bugs Cafe which offers insect tapas, scorpion salad and a host of other crunchy critter delights. Fun thing to do for everyone: Zipline! 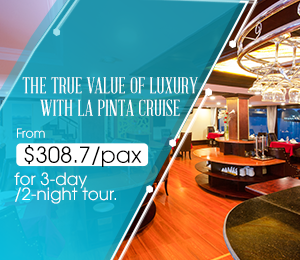 To get more things to do, tourist destinations and travel guides in Cambodia, you can visit our website. If you have any questions or comments, please feel free to let us know. We can reply you as soon as possible. You also like or share this article if you like it!